The mission of Journal of Veterinary Medicine and Surgery is to publish peer-reviewed papers and survey articles on research and development in the fields of veterinary medicine and surgery. Journal of Veterinary Medicine and Surgery provides a platform for innovative research, new concepts, and novel developments in the field of veterinary medicine and surgery to solve the related issues in that particular field. 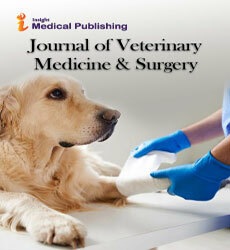 The Journal of Veterinary Medicine and Surgery will be unique in its discipline by setting standards in the field of veterinary medicine and surgery.